Sit down Chinese restaurants often serve a cold or warm dessert soup after the meal. My family didn’t really make dessert soups much after dinner. My aunt would make Tapioca Pearl Coconut Dessert Soup often during celebrations or whenever we were having dinner at her house. She’s one of the best chefs of our family! I was going to add tapioca pearls, by ran out, hence, I made this dessert soup out of what we had. My husband (who was my boyfriend then) used to order Bobo Cha cha a lot from a bakery in Chinatown all summer long. 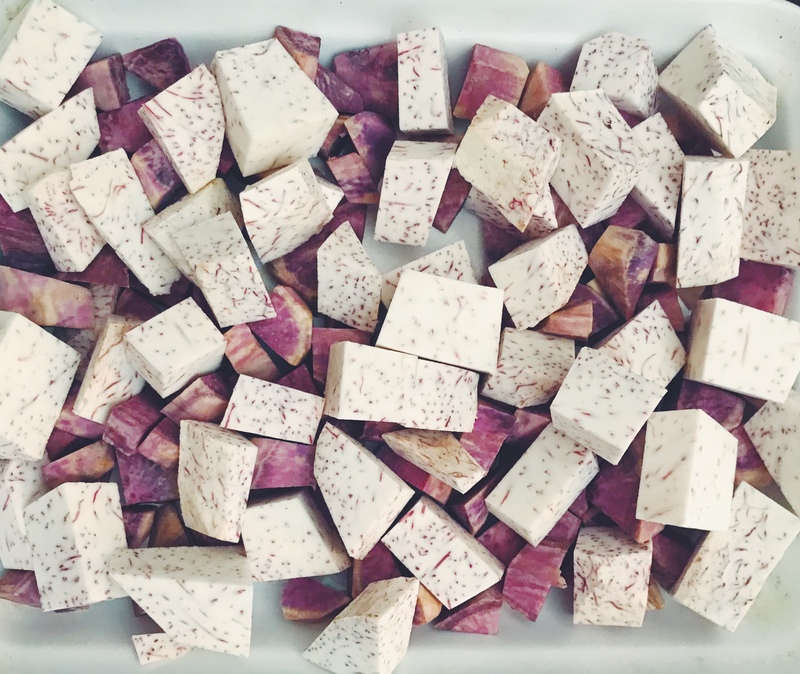 They also used purple yam and taro and added crushed ice, tapioca pearls and condensed milk for a summer drink! 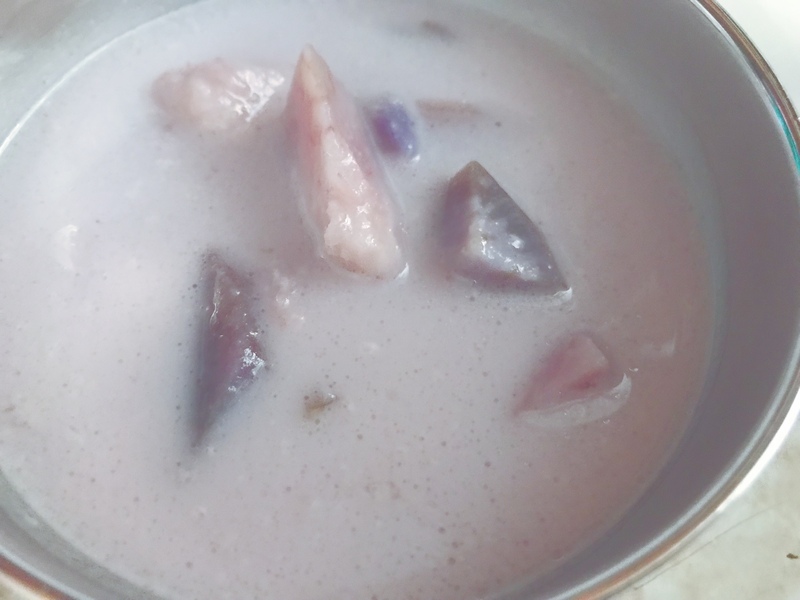 This dessert soup takes us down memory lane and a must for taro lovers. Just sweet enough and very quick and easy to make; and pretty much guilt free for the most part. 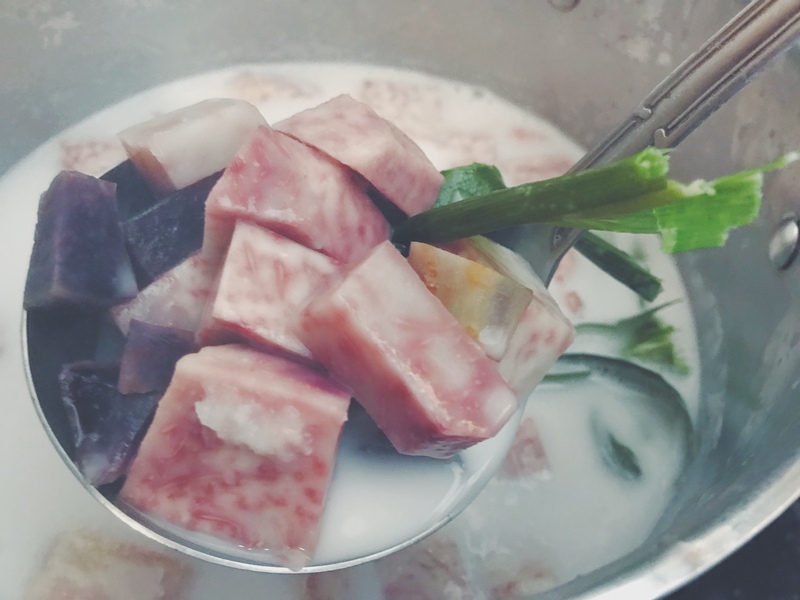 The taro and purple yam marry so well with the Pandan and coconut milk. It’s a perfectly balanced after dinner addition for any day of the week! 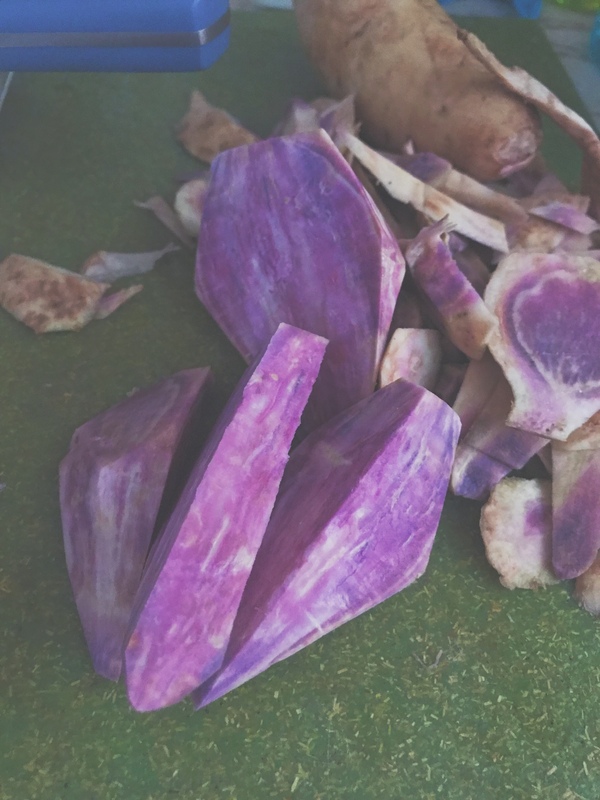 1- Cut all the yam and taro into bite size pieces. 2- Steam for about 10 minutes or until tender. 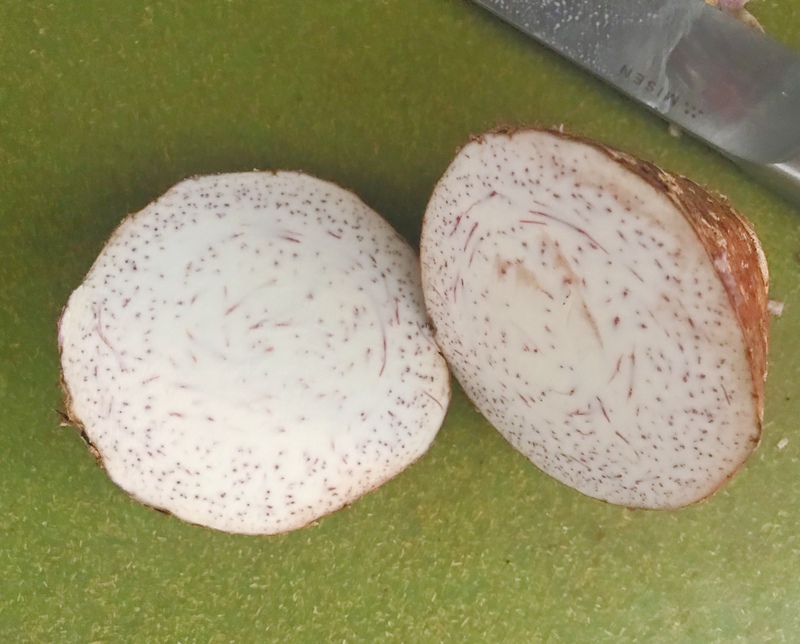 3-While taro and yam is steaming, prepare stock pot and pour in 2 cans of coconut milk and 2 cans of the water. 4- Knot and toss into the stock pot 3 Pandan leaves (you can omit if you don’t have it) and let it the soup come to a boil and let it simmer for about 7 minutes. 5- Add the rock sugar, along with the steamed taro and purple yam into the pot and cook on low for about another 5-10 minutes. What other sweet dessert soups do you make at home?